Most trial attorneys have to deal with preparing witnesses at one point or another. Often attorneys simply make certain that the witness is consistent in the information that you understand that they will provide, but we can also train you to better prepare the witness to appear more confident and truthful to assist their information to be taken more to heart. Otherwise, nervousness can be mistaken on the stand for not being sure of the details or confident in testimony. 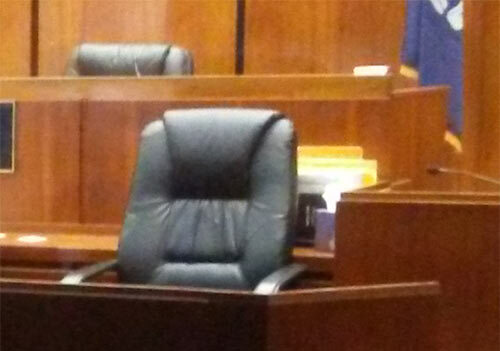 One of the more neglected areas that attorneys deal with is witness prep. Preparing someone to take the stand, or to be deposed, can be a daunting task. Most lawyers concentrate on the facts rather than deal with added pressure of being in front of a bunch of people, or even a camera, with the additional pressure of potentially having anything said impacting the future of many people. This pressure can reduce the capacity to access long-term memory and can greatly degrade the performance of a witness. We focus on teaching the skills needed to assist an attorney in seeing where a potential witness is having difficulty and methods to help the witness overcome these weaknesses. We'll teach a variety of activities and exercises designed to assist a witness to feel more comfortable when the time comes and to better relate the information needed to proceed in a case. For more advanced needs, we can take this to the next level and work on teaching presentation skills to better enable witnesses to send non-verbal signals to enhance their ability to relate much more than the information they are providing. This includes to enhance them being seen as being truthful, persuasive and engaging. This can grab and maintain the interest of jurors and enhance to chances of a more favorable verdict. If your witnesses are better prepared than those of opposing counsel, you have a better chance of having your points made effectively and have deeper consideration of your case. Improving the likelihood of a favorable outcome should be your ultimate goal. A THEY improv workshop to help you prepare your witnesses can have that impact. Simply contact us to find out how we can help you achieve the success you desire in the courtroom through better witness prep procedures and training.